As if making games wasn’t enough work, we now have a podcast! On the Zachtronics podcast we go behind the scenes of how indie games are made and interview independent game developers, asking them the questions that only another independent game developer would know to ask. In episode #7 of the Zachtronics podcast I don't interview anyone! Instead, I talk with Keith and Jared (two other members of Zachtronics) about our attempt to play Advanced Dungeons and Dragons, how the game design compares to modern Dungeons and Dragons, and some of the things that make it so spectacularly weird. In episode #6 of the Zachtronics podcast I interview David Galindo of Vertigo Gaming, the creator of Cook, Serve, Delicious! and Cook, Serve, Delicious! 2!!. Topics covered include cooking shows, unsolicited feedback, save file formats, yet another version control lecture, and much, much more! NOTE: In this episode I mention a link to an article that Keith read about the Minecraft file format. We were unable to find the article, and now we're not sure if it ever existed. In episode #5 of the Zachtronics podcast I interview Jason McGann, one of the creators of Zoop, an action-puzzle game released in 1995. 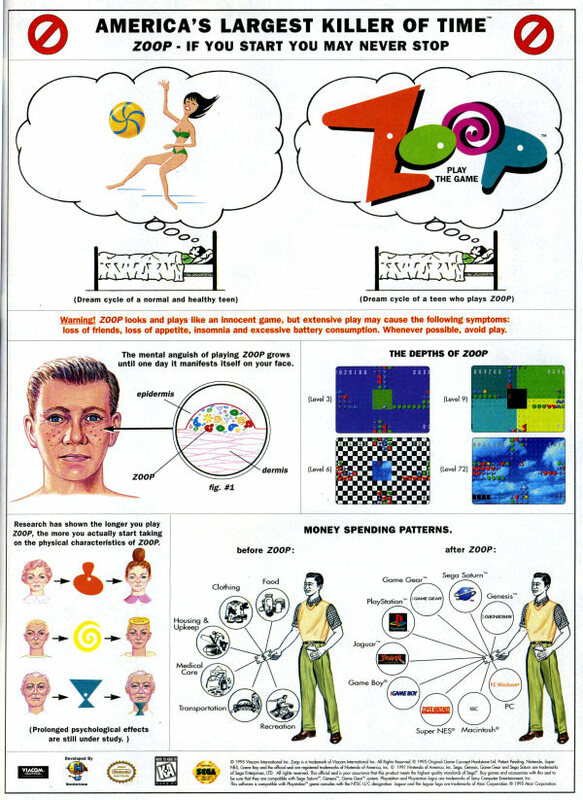 Topics covered include English game development, 90’s graphic design, why I love Zoop, and much, much more! In episode #4 of the Zachtronics podcast I interview Dan Dixon of Giant Army, the creator of Universe Sandbox. Topics covered include Universe Sandbox, Visual Basic, broken promises, planetary-level extinction events, and much, much more! In episode #3 of the Zachtronics podcast I interview Tim Saxon of Final Form Games, the creators of Jamestown and Jamestown Plus. Topics covered include Jamestown, Lua-based game engines, and much, much more! In episode #2 of the Zachtronics podcast I interview Brendon Chung of Blendo Games, the creator of the upcoming Quadrilateral Cowboy (in addition to many other games). Topics covered include level design, narrative in games, Brendon’s lifelong love of first-person shooters, and much, much more! In episode #1 of the Zachtronics podcast I interview Zack Johnson and Kevin Simmons of Asymmetric Publications, the studio behind the long-running Kingdom of Loathing. Topics covered include the history of Kingdom of Loathing, the ups and downs of running an independent game studio, the merits of version control, making money despite our best efforts, colossal screw-ups, and much, much more!